Plenty of storage is available on the Clifford Shoe Rack which can hold at least a dozen pairs of shoes and can also be stacked on top of another unit practically doubling your storage. 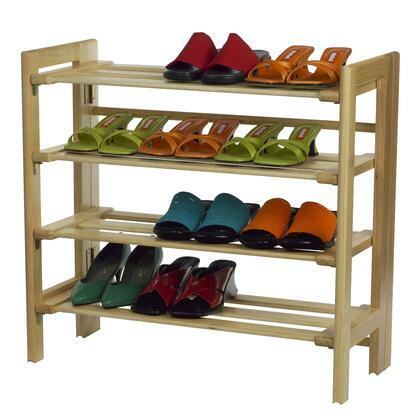 It's a simple yet functional design and allows you to organize your entryway, mudroom, or even garage. 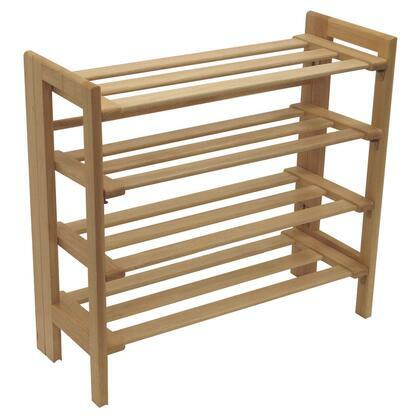 The overall size of the shoe rack is 27.8"W x 11.5"D x 25.9"H. The clearance between each shelf is 5.5" and has a weight capacity of 25lbs per shelf. 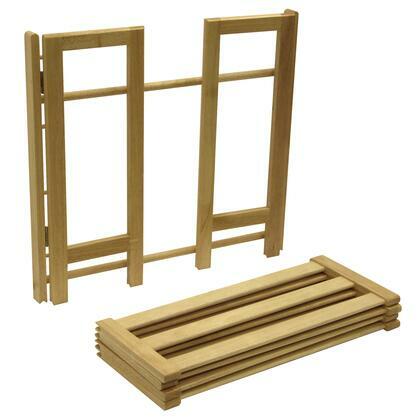 It is made of solid wood in a natural finish. Assembly required. 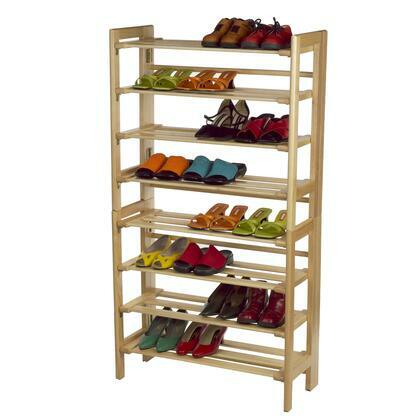 Overall shoe rack size is 27.8"W x 11.5"D x 25.9"H. Max stacked 2 units. Four slated shelves with 5.5" shelf clearance. Crafted from solid wood in clear wood finish. Assembly required.